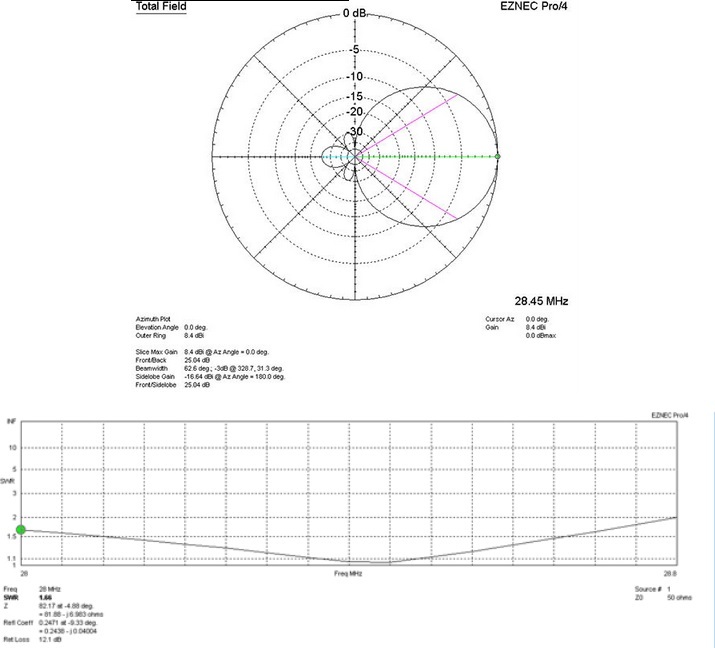 JK-Quattro - Yagi antenna of 3 elements for the 17 m band, 4 elements for the 15 m band, 2 elements for the 12 m band and 4 elements for the 10 m band on a 30 foot (9.14 m) boom. 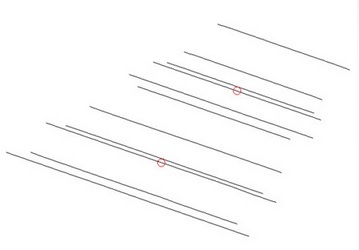 The JK Quattro is a Quad band Yagi that interlaces 10, 12, 15 & 17 meters on a single boom. This antenna evolved when we combined two of our dual-band yagis (JK1517 & JK1012) on to the same boom using the forward stagger method. The Quattro performs as 4 individual mono-banders with 2 separate 50-ohm direct feed-points. 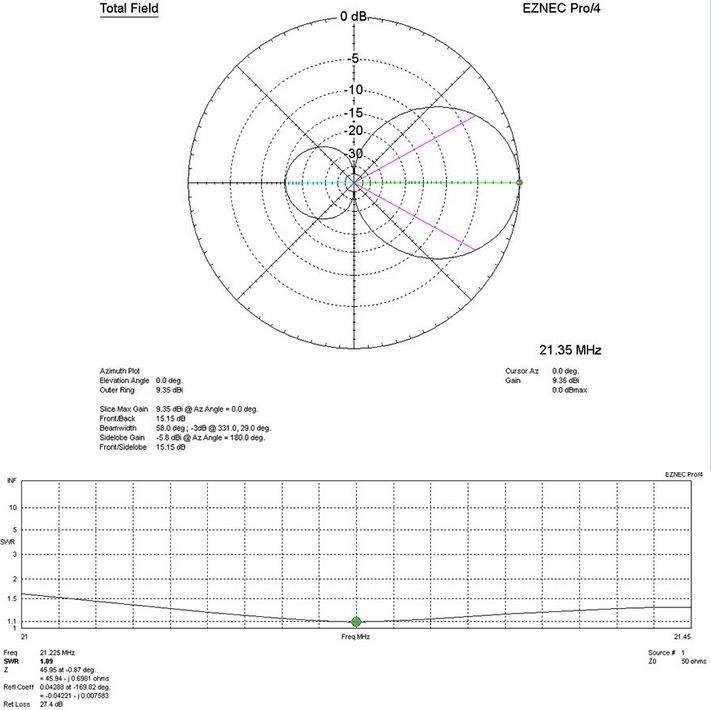 The different band elements couples with the other to give additional active elements on 12 m & 17 m.
This antenna has been designed to give a good gain, F/R characteristics on 10, 12, 15 & 17. 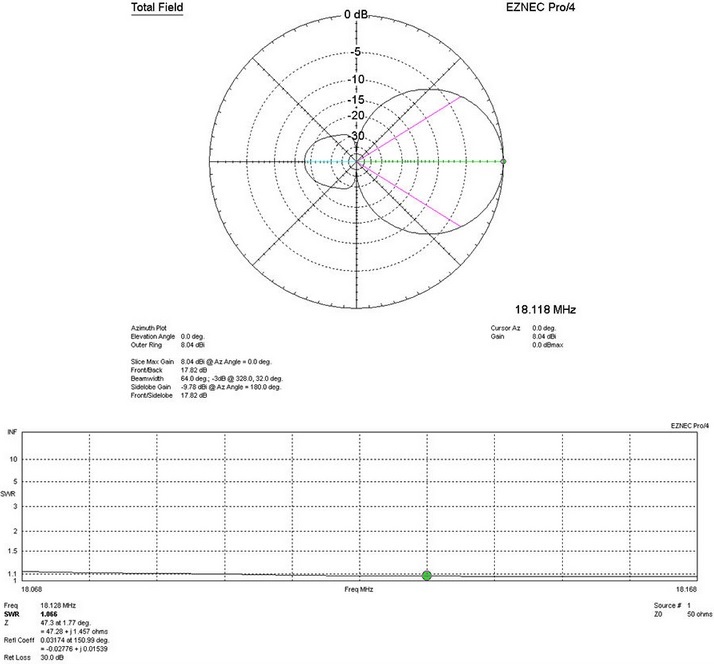 The adjacent band passive elements couple with the active band elements to give a good gain performance on each band for this boom length. 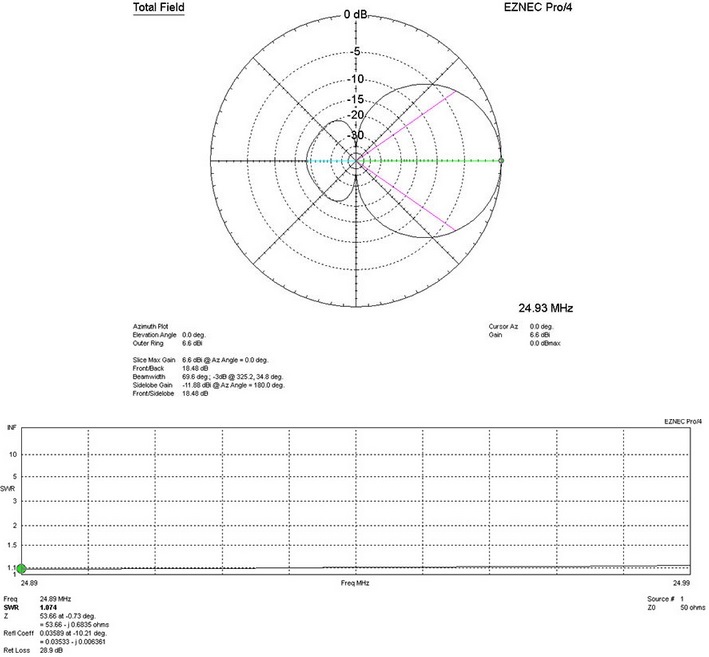 The gain figures alone for this antenna will differentiate it as a leader in its class.